Update 2019: Fotolia is no longer running their free credits offer, but if you still want to get free photos from Fotolia, you can! 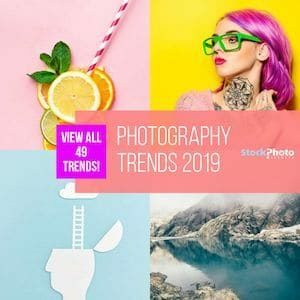 Adobe Stock is a great stock photo service property of Adobe (whom also own Fotolia), and its library of over 65 Million images is in its majority sourced from this stock photo agency's catalog. Adobe Stock has available a Free 1 Month Trial that gives you 10 free images during 30 days! If you want to get Fotolia free photos, seize the Adobe Stock Free Trial deal today! For more info about the service, read our Adobe Stock review! Everybody loves free photos so why not use our Fotolia promo code to receive 3 free credits as well as 20% bonus on your first purchase. 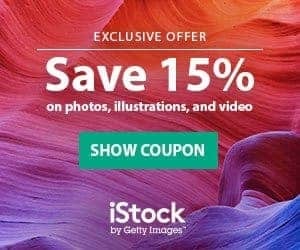 This exclusive Fotolia coupon code is only available for StockPhotoSecrets readers. Fotolia is one of the largest stock photo agency in the world (read our Fotolia review), providing royalty free photos, vectors, illustrations and footage. Offer: 30% More on all Credits. Sign up at Fotolia today and get 3 free credits to use when selecting from over 23 million images + 20% bonus credits. This is for new customers only. With this Fotolia promo code, you will be able to download up to 3 free stock photos from Fotolia or one higher resolution royalty free picture. If you want to purchase credits, you will even get 20% discount for your first purchase. This Fotolia promo code is only valid for new Fotolia buyers but the 20% coupon code can be used even if you are already a Fotolia customer. Fotolia's promo code requires a mobile number to send the final coupon code to. This Fotolia promo code can be only used by new stock photo buyers. You will need to signup through our landing page to receive the free credits. But thats not all, if you are a existing member of Fotolia's stock image library, you could get 20% off your next purchase via the link above. Fotolia Promo Code – how to redeem it? You want to save 20% on your next credit pack purchase at Fotolia? Use this little trick to get this promo code as existing (or just signed up customer) at Fotolia. Look for following text: Already a member? No problem! Click HERE to receive 20% Bonus Credits on your next purchase. We have recorded a short and easy to understand video, how to redeem our Fotolia promo code. You can watch it here or below. I will double check and re-enable with Fotolia. Just keep trying it will work.